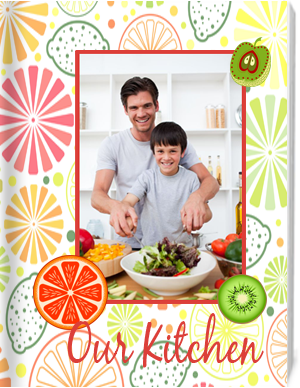 PhotoGalley offers benefits of our proven cookbook fundraising program. Trading recipes has been a popular pastime for generations upon generations. You can turn this time-honored tradition into an exciting and profitable cookbook fundraising program that involves the entire community. A cookbook published by your club, church or organization will have a far-reaching appeal and can mean big bucks for your group. [Excite your group with fundraising activity ideas.] You create a colorful, personalized custom cookbook with recipes and cooking hints from club members, town celebrities and those locally "famous" cooks whose recipes have become legendary in the community! Photo cookbook for all your favorite recipes!